Tasteful, varied and robust. 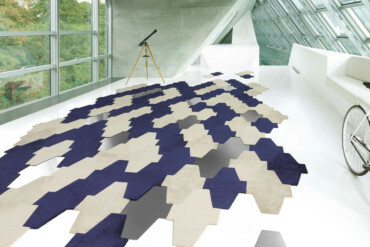 In spring 2015, Vorwerk, the German carpet makers, launched its new “TEXtiles SL” carpet tiles collection. 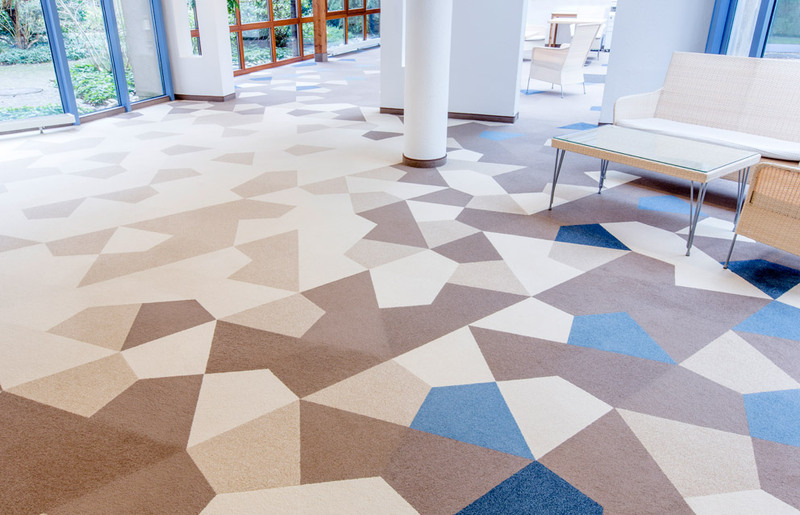 One of the company’s strategies was to enlist the services of no less an architect than Hadi Teherani, who designed two free-form carpet tiles, “Crystal” and “Partition” for the collection. These tiles stand out not only for their varied and delicate hues but also their graphic patterns, which can be slotted together like the pieces in a puzzle. 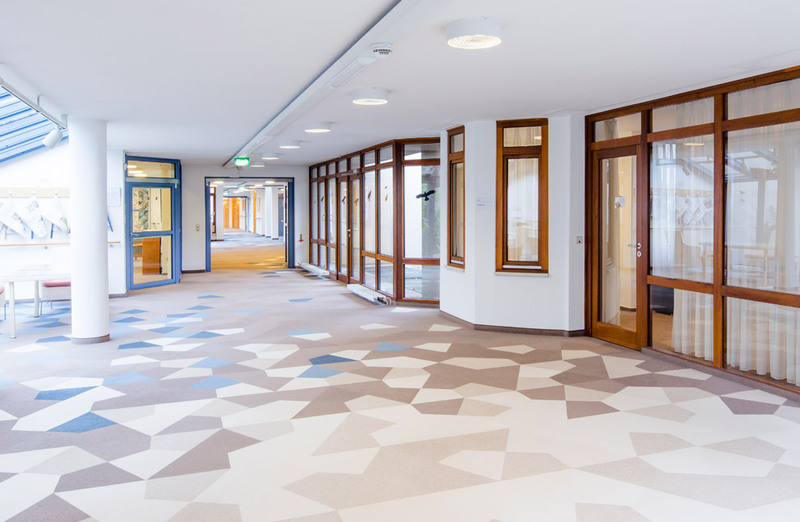 Interior designer Stefanie Fuhrmann, an engineering graduate, made good use of the great design scope offered by the tiles and opted to use carpet tiles from the “Crystal” line for the “Augustinum”, a retirement home in Freiburg. There they not only make for a warm and cozy atmosphere but also serve as a visual guidance system for residents. 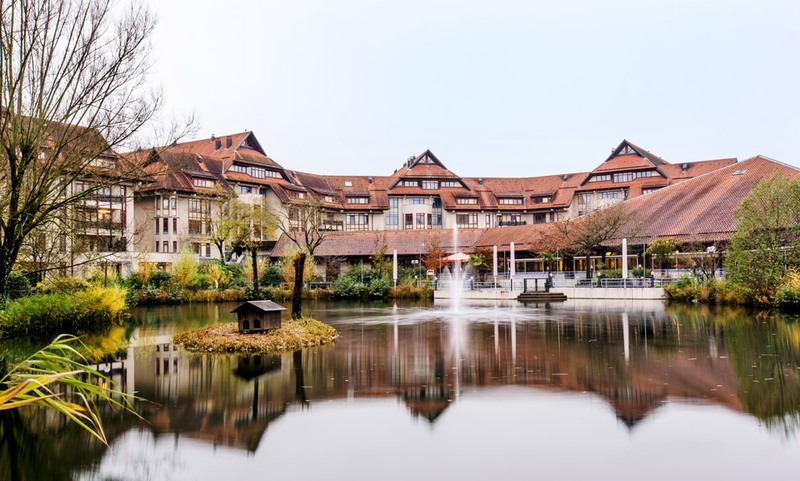 The “Augustinum” boasts an idyllic location in the south of the city of Freiburg – surrounded by a park and with the Black Forest on its doorstep. The retirement home consists of a total of seven buildings grouped in a semicircle around a lake. Residents thus have plenty of space to move and there is even a special wellness area. 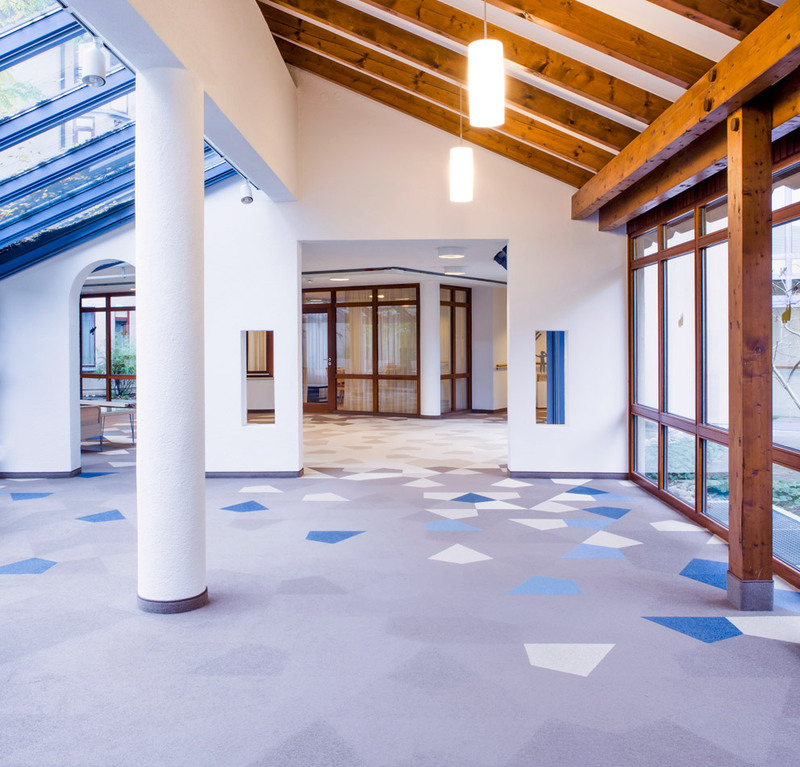 The corridors, the reception area, the restaurant, the café and the auditorium are particularly spacious and open, and it is here that the carpet tiles in five different colors have been used. 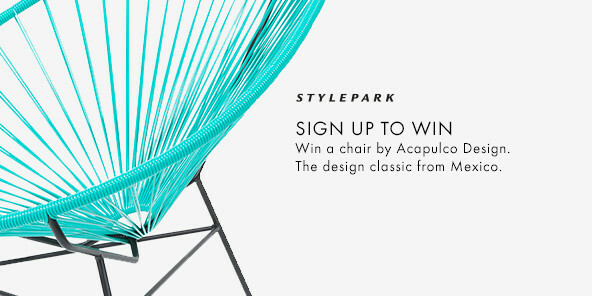 Warm earthy hues alternate with fresh shades of blue, structuring the floors and lending them an unusually sculptural feel. 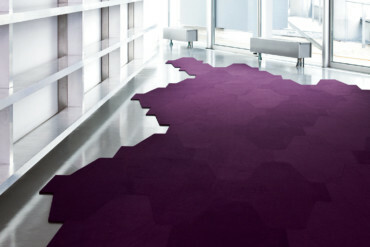 Free-form tiles in powerful colors create dark “islands” at the main points of intersection and are surrounded by more homogeneous, lighter areas that, like arrows, indicate which direction you should take and thus help people find their bearings. 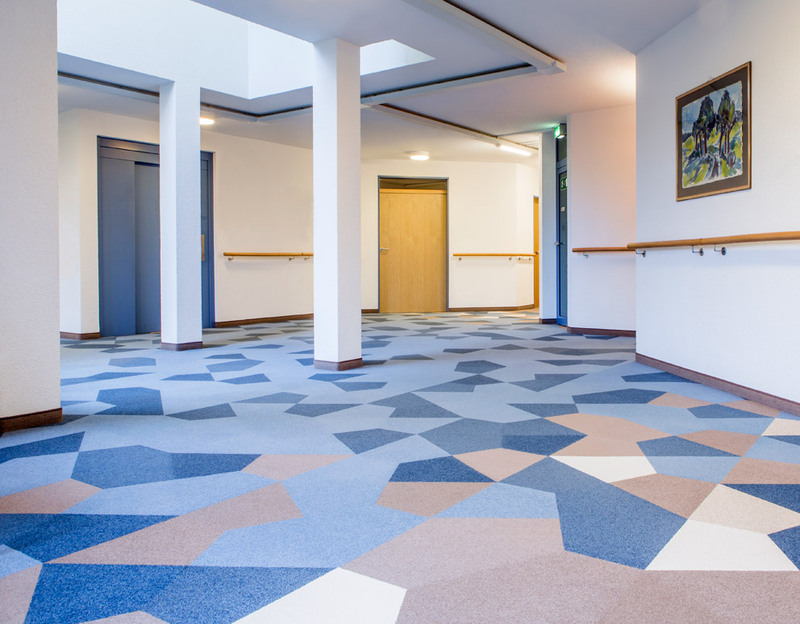 Accordingly, long corridors, which may seem interminable for older residents, are divided up into individual sections – characterized by an iridescent, rhythmic sequence of colors which make the distance seem shorter than it actually is. 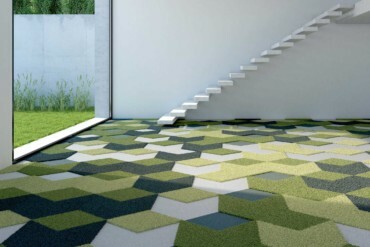 These carpet tiles feature not only the carefully balanced interplay of colors and shapes but also excellent practical qualities as far as the home is concerned – their entirely recyclable Econyl fiber yarns are very robust and capable of withstanding the daily wear-and-tear caused by wheelchairs and food trolleys. 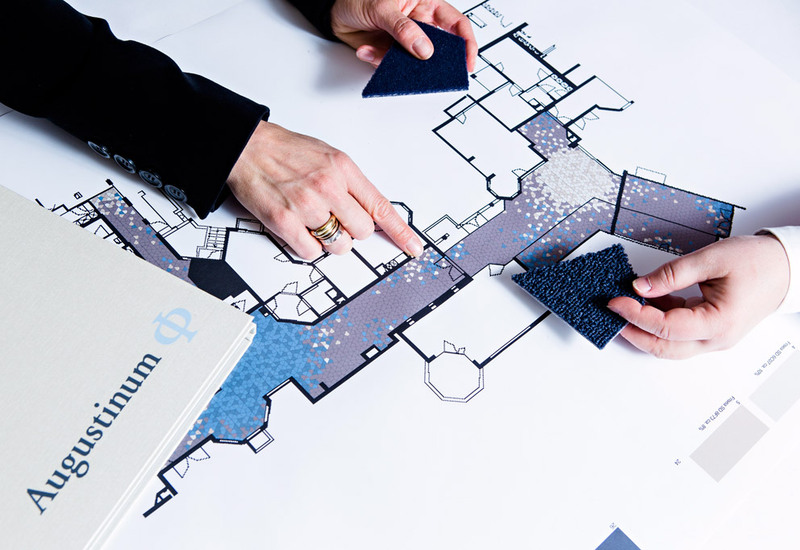 In fact, the colors do not even fade on the tiles that run next to the panorama windows, which flood the rooms with daylight – something guaranteed by a special dyeing process known as “solution dyeing” which makes the tiles color-fast. 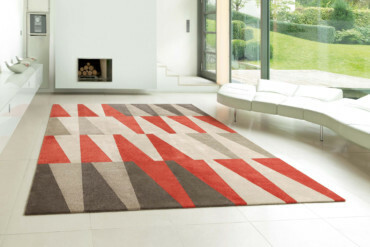 The TEXtiles SL collection offers not only the nine free-form shapes but also rectangular formats available in the sizes 50 x 50, 100 x 25, 100 x 50 and 100 x 100 centimeters.